Get up to 1000 anytime minutes /mo in free wireless service and a handset at no cost to you. Click your state in the table below for more information or to order! Those that are currently receiving some form of assistance from the government such as Medicaid, SSI, or Food Stamps (SNAP), Section 8 Federal Housing, etc., you are likely eligible for free government cell phone service. under the Lifeline assistance program. This is the program that is sometimes referred to as the Obama phone. You will receive a wireless phone and as many as 1000 voice minutes per month (minutes vary by state), all for no charge. You can place and receive local calls and long distance, receive and send text, use voicemail, and more. You can easily add minutes if you need more for a low rate. You won't be receiving a bill since this service is free*. You won't be under a contract! You can cancel at any time. The minutes for your plan refresh very month! If you run out of minutes, you can buy additional minutes at discounted prices. Click your state to see plans available and ordering information. If you don't see your state listed above, check back soon. 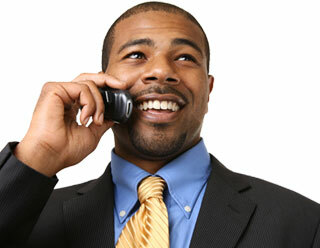 You aren't under any contract so you can cancel your no-charge cell phone service at any time with no termination fee. It's easy to get your Lifeline wireless phone service. Just complete an on line application,	send or upload proof of participation or income, and your mobile handset will be shipped to you. * Oklahoma customers are required to pay $1 per month plus taxes and fees for the unlimited plan. It's simple to get your free wireless phone service. Just fill out the easy on-line cell phone order form for your state, send or upload proof of your participation in a qualifying gov't program and your handset will be mailed to you right away. The best web source to compare gov't cell phone plans.